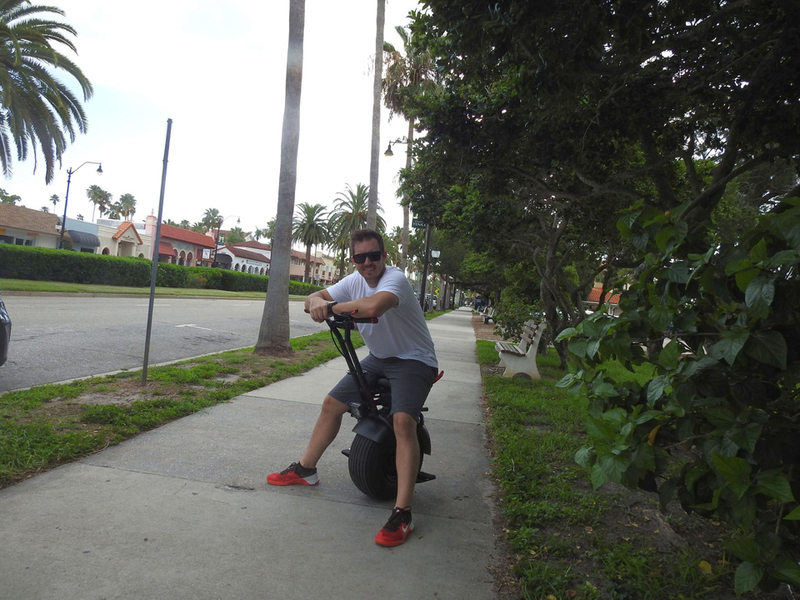 Combine a self-balancing scooter with a unicycle and you get the Uno Bolt. 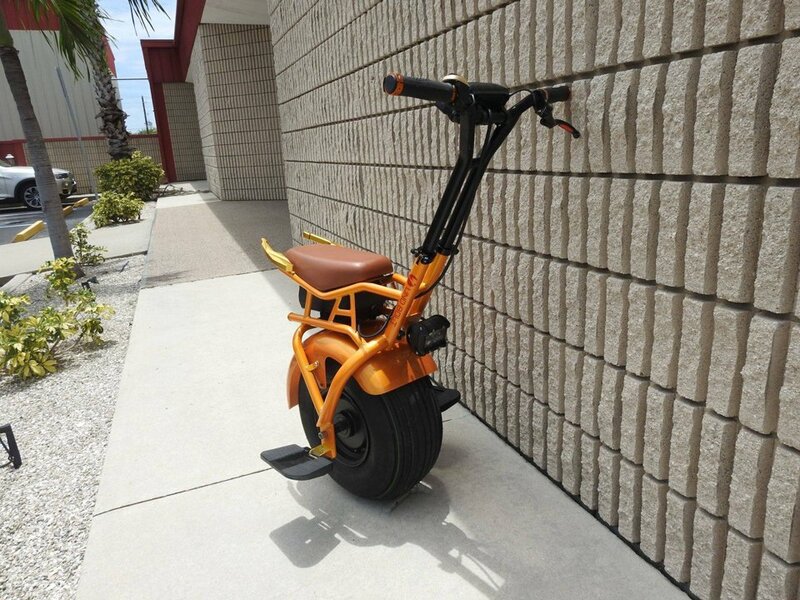 It uses sensors to maintain balance and is controlled by leaning. 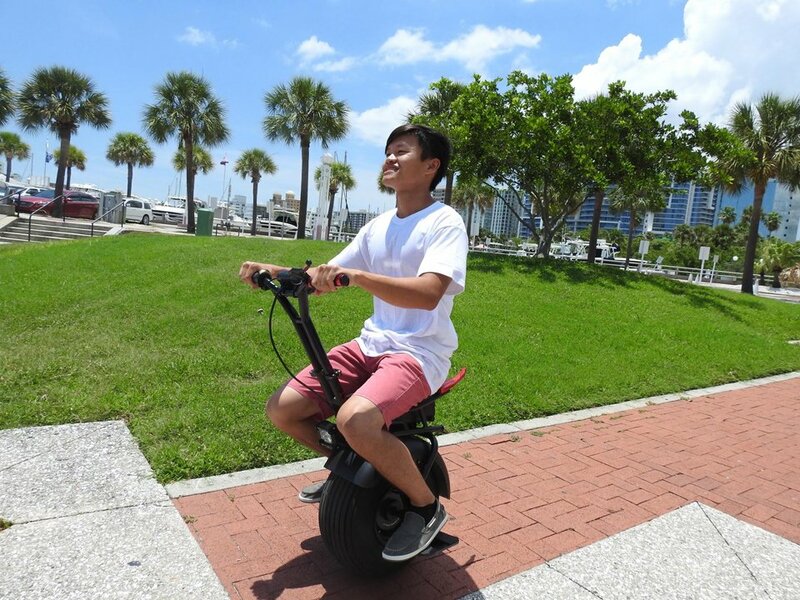 It goes up to 22mph and lasts up to 25mi per charge. It has front and rear lights, a rear view mirror and an e-brake/reverse lever.